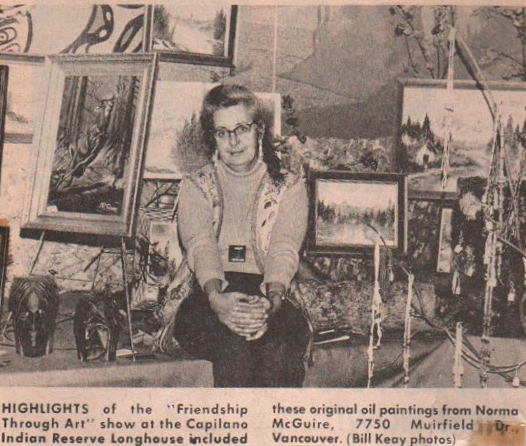 Back in 1972 we participated in an art show held at the Longhouse on the Capilano Indian Reserve. It was sponsosred by the Kinsmens Club in North Vancouver. 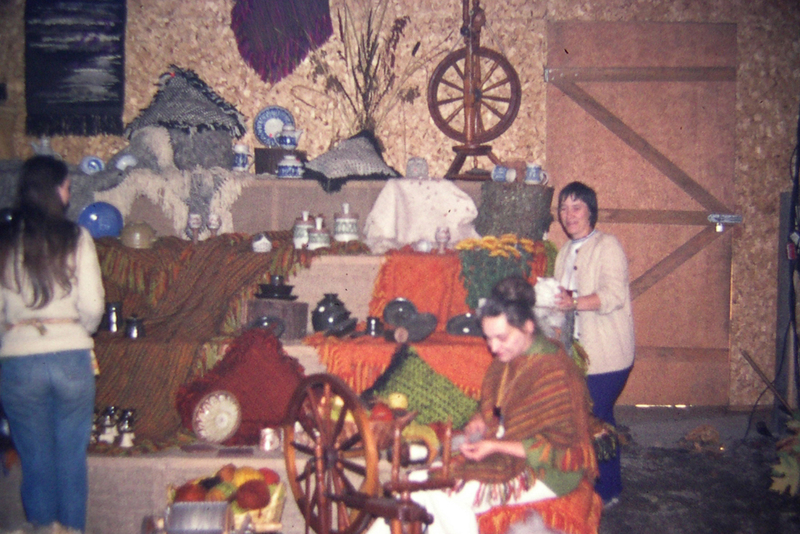 Many different kinds of “art” were on display… pottery, glass blowing, jewelry, carvings, and paintings. The glass blower had just been married a few days before the show, but as he was booked to do the show, he and his bride had to postpone their honeymoon. My husband came up with a pretty good idea. We went to every participant, except the glass blower, and asked for one dime. Some wanted to give more, but we specified one dime only. We had a pretty fair amount of dimes, and my husband went to the glass blower. The story Mickey came up with…he said he owed this guy some money, and the guy was being a jerk, so he wanted all of these dimes enclosed in glass, and sealed so he couldn’t get them out without breaking the glass. The glass blower thouht that was a great idea, and went to work. When he was finished, Mickey paid him for the job and left. The next day when presentations were being made for best booths, etc, the glass blower was called over, and he was presented with the “Dime bubble.” He thought it was a great idea! The show was very successful in bringing different artists together, and also with letting the public meet a variety of artists all in one place. a wonderful weekend! Keep shining! Thanks for coming by, Dianne, and for your comment.It is really appreciated. Sorry I wasn’t home in time for tea. What a great gift for the glassblower! That was very nice news coverage of the event, too, especially for you, complete with address. A little free advertising would always be welcome. Is your tea hot enough? Thanks for coming by, Carol, and for your comment.. That was a fun show and I got to see what other artists were doing besides just paintings. Hi Heather! I just about missed you! The kettles on, so we can have that cup of tea. Thanks for coming by and for your comment! You are always appreciated!